Forget illicit torrents tossed up by anonymous Russian bloggers: On Thursday, a build of the incoming Windows 8.1 update was leaked by Microsoft itself. The update, which was reportedly released to manufacturing partners earlier this week, was not pushed out to the general public but could still be secretly attained via the Windows Update service. Crafty users could force the update using a registry hack or direct links discovered by enterprising forum-goers, as WinBeta first reported, followed shortly thereafter by ZDNet and The Verge. ZDNet reports that the full package comprised six updates totaling 761MB. Don't bother trying the workaround now, though. Microsoft quickly disabled both the direct links as well as the ability to install the update via a registry hack. However, you can still find mirrors of the update on various file-sharing sites, according to The Verge's report. Windows 8.1's spring update has been designed to appease traditional PC users, adding mouse-friendly context menus to the Metro interface and—most helpfully—a dynamic startup feature that automatically boots to the desktop if no touchscreen is detected. It's also been tweaked to run on devices with just 16GB of storage and 1GB of RAM as Microsoft prepares for a price war with Google. 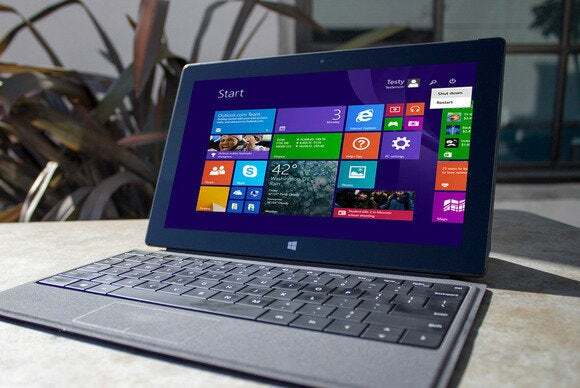 Microsoft's expected to release the Windows 8.1 update on April 8, following the company's developer-focused Build conference; MSDN subscribers are expected to receive access a week prior. Check out PCWorld's coverage of a previous leak for a glimpse at some of the changes on deck. This article has been updated to credit WinBeta with first publishing reports of the update's accessibility.